Narrow handle extends to base-groove. 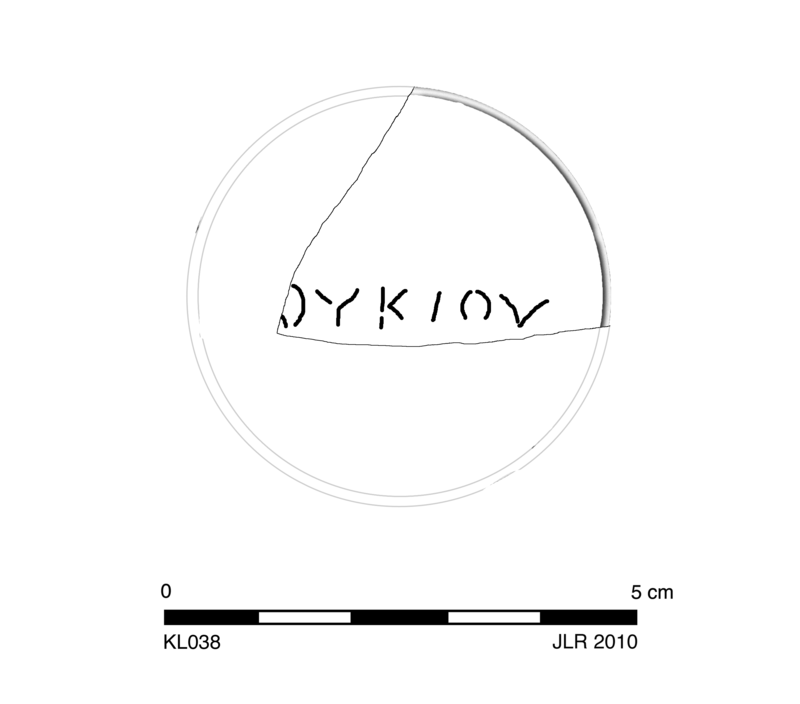 Circular, flat, plain base has single circular groove around incuse signature: [Λ]ΟΥΚΙΟΥ. 7.5YR 8/6, reddish yellow. Early/Middle Roman Corinthian pale lamp fabric. 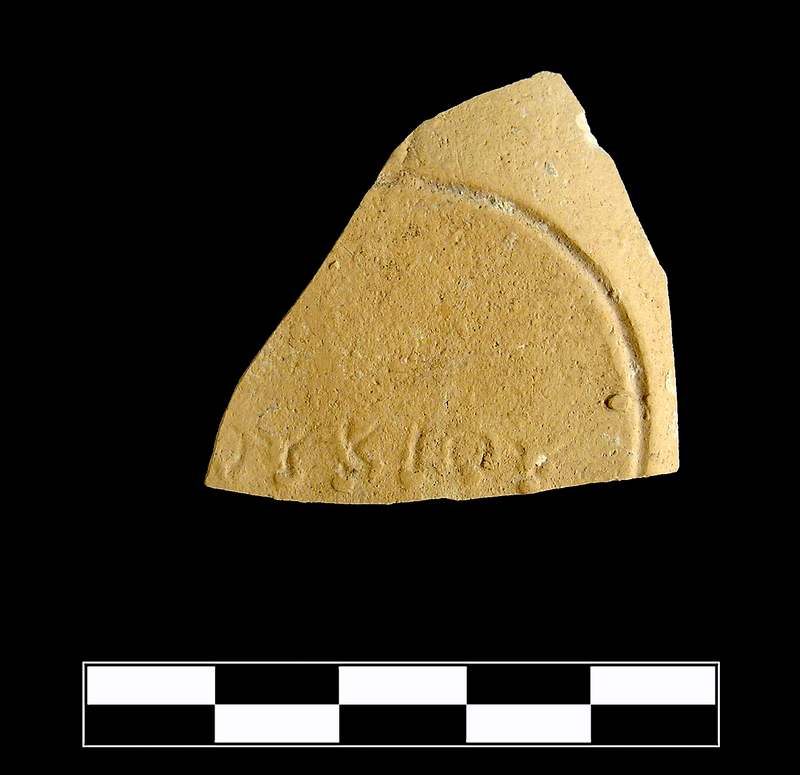 One small fragment preserves small part of lower handle, small part of wall, and roughly one half of base. Slight sparse abrasion, pitting, and chipping.